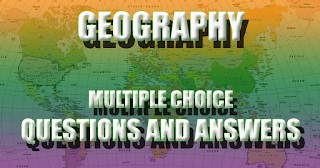 Indian Geography Previous year Question With answers: Hi Viewers welcome to the ssc-ibps.com, in this post we are sharing the previous year asked question in the Geography Topic useful for the Railway Assistant Loco Pilot and Group D Exams. Here we also provided the Indian Geography Short Notes, Geography by Majid Hussain Book PDF All files are attached below the links. 1. Which one of the following sectors of the economy is state-owned and its service sector is a public enterprise? 2. Fishing hunting and food gathering activates are carried out by? 3. Who amongst the following founded the French school of regional geography? 4. Which of the following countries leads in fish catches? 5. Pisiculture refers to the rearing of? 6. Annual catch of fish is largest in? 7. The largest producer of fish in the world is? 8. Which are the main centers of whaling? 9. Which fish is known as poor man’s fish?